Field Support Section provides operational and logistical support to all units within Airport Police to ensure that each section has the means with which to complete their daily assignments. Airport Police officers assigned to the ARCC support field operations with resources necessary to fulfill their mission, including personnel, equipment and administrative support. Functions include facilitating the gathering of intelligence on security situations through monitoring and disseminating intelligence information to appropriate parties. ARCC officers also complete incident action plans for unusual events that may affect operations at LAX. 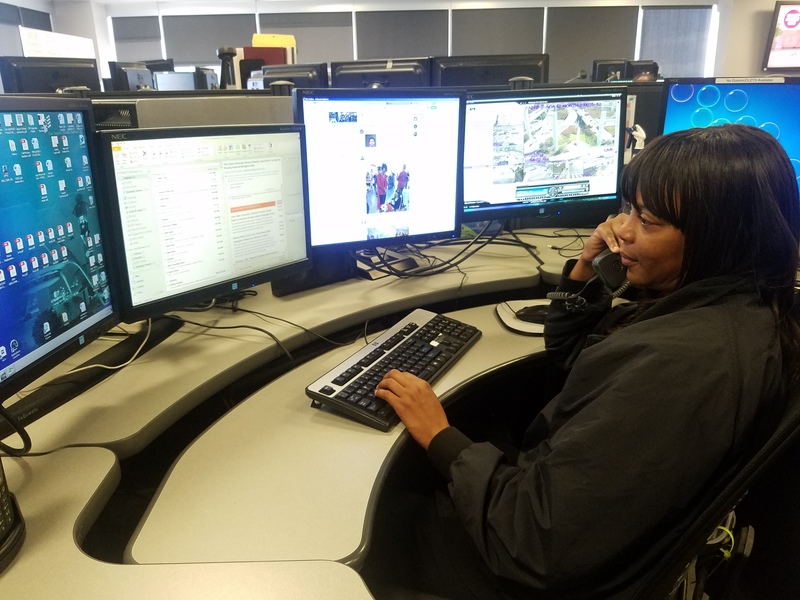 It is the main call routing location for incoming administrative calls and acts as a liaison to various local, state and federal agencies requesting non-emergency assistance and service from Los Angeles Airport Police. The officers in the ARCC also facilitate special events/assignments, process requests for additional patrols from citizens and tenants, and handle the scheduling and assignment for commercial film productions. ARCC officers also support the Patrol Services Section by assisting with scheduling, deployment updates and maintaining report files. property and conducts surveillance of possible criminal activity with the Airport Police Crime Task Force. The mission of the Communications Unit at LAX is to provide protection of life and property by dispatching public safety personnel to incidents and conducting status updates as needed. The unit also provides emergency notifications and status updates during critical incidents. The mission is accomplished through detailed, accurate communications between police and fire personnel, and through protection of sensitive and restricted law enforcement information. 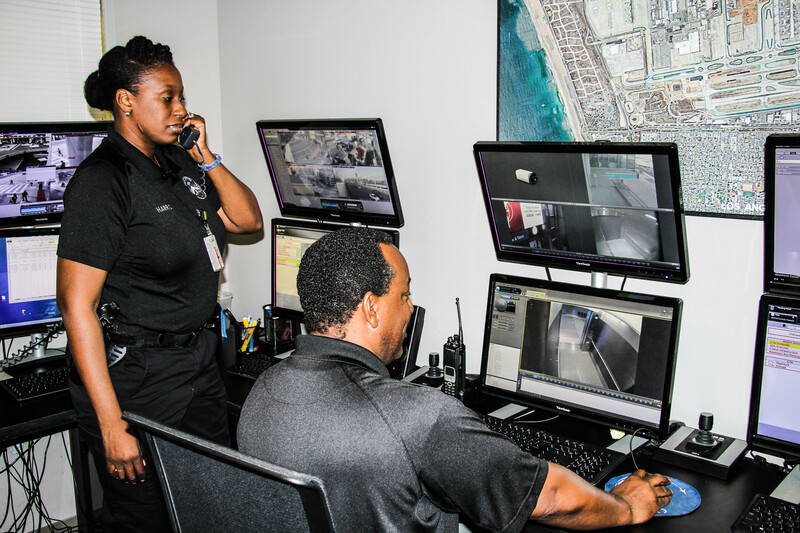 The mission of the Crime Analysis Unit (CAU) is to produce timely, accurate and useful information that will assist Airport Police Division in preventing and suppressing criminal activities. The unit also identifies officer hazards arising from the criminal element; provides trend analysis to assist with apprehensions; and aids the investigative and case-clearance processes by collecting, collating, analyzing and disseminating crime-related data to identify crime trends. CAU monitors crime in areas surrounding LAX; analyzes all LAPD reports pertaining to crimes at LAX and surrounding areas; and provides data analysis to respond to requests from other Los Angeles World Airports divisions and outside law enforcement agencies. CAU maintains the database and provides statistical reports on the Security Airfield Enforcement (S.A.F.E.) program. The mission of the Crime Analysis Unit (CAU) is to produce timely, accurate and useful information that will assist Airport Police Division in preventing and suppressing criminal activities. The unit also identifies officer hazards arising from the criminal element; provides trend analysis to assist with apprehensions; and aids the investigative and case-clearance processes by collecting, collating, analyzing and disseminating crime-related data to identify crime trends. The CAU monitors crime in areas surrounding LAX; analyzes all LAPD reports pertaining to crimes at LAX and surrounding areas; and provides data analysis to respond to requests from other Los Angeles World Airports divisions and outside law enforcement agencies. CAU maintains the database and provides statistical reports on the Security Airfield Enforcement (S.A.F.E.) program. The mission of the Logistics Unit is to procure, inventory and distribute materials used by sworn and civilian personnel. The unit obtains and issues uniforms, badges, and equipment to approximately 900 employees, including specialized units and other agencies when joint functions occur. The unit also coordinates body armor replacement and/or issuance, facilities maintenance, parking permits, handheld radios, and work requests to accomplish the above tasks. During emergency incidents, heightened alert levels and special events, the unit provides logistical support as needed. various units for optimum efficiency. The Lost & Found Unit receives and safely stores found property. Lost & Found officers are also responsible for the timely restoration of the property to its rightful owner, or the legal disposal of such. Found property is defined as any property discovered within LAWA airports by an individual and given to the custody of an Airport Police officer. To contact the Lost and Found Unit click here.